The Carlos III University of Madrid and the MLLP research group have extended their agreement for the automatic transcription and translation of video lectures in Spanish and English. The Carlos III University of Madrid (UC3M), Spain, is a young and innovative university that has been making a strong effort in the production of quality video lecture-based courses. 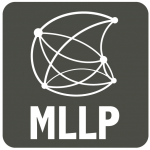 In this regard, the UC3M’s Unit for Educational Technology and Innovation signed in 2014 a contract with the Universitat Politècnica de València’s MLLP research group, by which the MLLP provides the UC3M with technology for the automatic transcription and translation of video lectures in Spanish and English. After a year of successful cooperation, the UC3M and the MLLP signed last week the extension of this contract until the end of 2016. We at the MLLP look forward to continuing our cooperation with the UC3M in this field. Posted in All, Projects and tagged Automatic transcription and translation, UC3M, Video lectures.